A multi-national automobile company has a world class technology for fixing the front and rear glass of their cars. All the other car manufacturers fix these glasses with the help of solid rubber bidding and adhesive. However, this particular multi-national automobile company uses technology where this rubber bidding is in liquid form. A robotic frame is filled with this liquid rubber bidding and it fixes the glass on the car body. The liquid rubber bidding then gets solidified in the atmospheric temperature. As this liquid rubber gasket gets solidified in atmospheric temperature, it also possesses a tendency to get solidified in the robotic frame. Thus after a particular use, the robotic frame gets chocked up and can no more perform the glass fixing activity. Earlier this multi-national automobile company used to have standby robotic frame units. Once a frame got clogged, they used to replace the frame with a clean one and continued their work. The clogged frame was then manually cleaned using 3 to 4 workmen and that exercise used to take approximately 3 to 4 days. Surya Manufacturing Corporation introduced Super Gasket remover – a CRC range of products, which does the cleaning work on line. 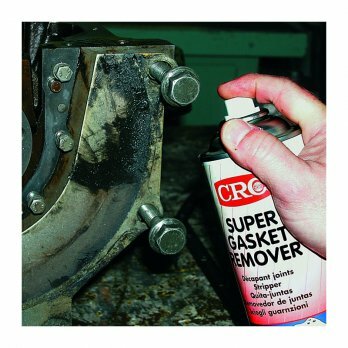 Super gasket remover has eliminated the non-value adding activity of frame cleaning, which has resulted into saving of 9 man days and non-productive down time.